We provide a direct-relationship EAP for your company, thus saving you money. By dealing direct with a practice that can meet all of your EAP needs, you reduce the costs associated with compensating a managed care company. A direct-relationship EAP always saves the employer money, because if you use managed care you must pay enough to cover both the managed care company’s operating costs and the doctors’ fees. Lepage Associates is a premier psychology and psychiatry practice that can meet all of your EAP needs. As a practice of doctors with a broad variety of specialties among us, we can treat all mental health diagnoses and all ages. We are open M-F approx 8am-8pm and even SATs 9am-5pm, providing the utmost in convenience for your employees. Our location is the perfect mid-point for the Triangle area, just ½ mile off I-40 in south Durham at the intersection of Fayetteville Road and Highway 54; perfect for RTP, Durham, Chapel Hill, and much of Raleigh. Our facilities at Sutton Station are also more upscale than most psychology practices. Most importantly you do not give up quality for the benefit of saving money. Rather, we believe your quality may even improve, as our clinicians are some of the top in their field. We encourage you to visit our Psychologists/Staff page to read about the high level of skill and experience of our clinicians. Then read through the numerous sub-pages of our Services page to see the breadth and depth we can offer. Last, read our Why Us?/Philosophy page to see what makes us as a practice among the best in our field. You may also want to glance at our Resources to note the commitment we have to providing free resources for the general public. 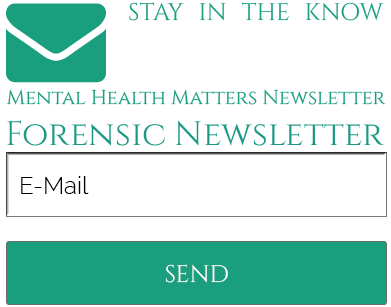 Our mission in creating this email newsletter has been to provide quality, useful information on mental health topics to the public, at no charge. Make no mistake – this is not a flimsy marketing piece poorly disguised as a newsletter. Our goal with each newsletter is to provide well-written, well-researched articles on mental health topics; articles that are designed so a reader walks away with important information and/or tools to use in their own successful maintenance of their health and happiness, and that of their family. The newsletter goes out once every other month; enough to be useful without overwhelming recipients’ in-boxes. If we provide your EAP, we will send this newsletter out to your employees (if you wish). Even if we do not provide your EAP or any other business service to you, we are happy to add your employees to our newsletter recipient list. At no charge, you can provide a useful tool for your employees. (We use easy one-click Unsubscribe so any recipient who does not want to continue receiving the newsletter can unsubscribe with absolutely no hassle). Our response to our Mental Health Matters newsletter has been overwhelmingly positive, and we are quite proud of this public resource. Conflict mediation and resolution; executive consulting and coaching for improved work relationships and job satisfaction; employee coaching and counseling for improved work relationships and job satisfaction; distance therapy; and life coaching. Do you have valuable managers or staff members who are at a gridlock over an issue and impeding upon progress, or valuable managers or staff members who just can’t seem to ever get along? Dr. Lepage is a specialist in relationships, to include professional relationships. She has been said to have a “wonderful ability to look at issues from many perspectives, and to cause others to do the same when they might not be inclined to do so.” It has also been noted that she “demonstrates an uncanny ability to find creative solutions that work well and are respected by all parties involved.” Dr. Lepage can intervene directly with the people involved in the conflict, or can work with management to develop ways management can intervene to resolve the conflict. Why bring in a clinical psychologist to help resolve a work-related impasse? Because a briefcase isn’t the only thing people carry to the office… they also bring a lifetime of experiences, from years ago to how their evening at home went the day before, and these experiences affect their thoughts and feelings, and thus their ability to make work-related decisions and complete work-related tasks. Unlike most psychologists, Dr. Lepage also has experience and education in management. Her unique blend of clinical and management skills allow her to assess all levels of the conflict – from overriding company needs and individual professional concerns, to personal issues and personality traits affecting the problem – and to thus assist in finding a workable solution that also feels good to the people involved. Professional help conducted via telephone or webcam. This is more convenient for busy executives who don’t have time to attend an office appointment. It is also a good alternative to ensure the privacy of individuals who do not want to attend therapy in the community where they live and work. Often times declining or stagnant job performance is the result of personal problems an employee is experiencing, of which the employer may not be aware. If an employee’s mood, personality, demeanor, or work quality has changed, you might consider suggesting therapy in a polite, respectful and supportive way. We are happy to work with referrals to determine whether it is a personal or professional issue affecting their job performance, and to help them alleviate the issue, both as a means for the individual to feel better and to ultimately improve their performance at work. For employees concerned about fitting time for therapy into their busy life, or concerned about confidentiality, Distance Therapy can be an ideal option. Sometimes suggesting to an employee that they seek the assistance of an Individual Life Coach may be more appropriate than individual therapy. Life Coaching is a convenient, private, low cost way to target a specific problem in a brief period of time. There is a brief description of life coaching on this page, but you can find much more information on our life coaching page. These options for getting help provide the ultimate in convenience and confidentiality, as both are provided via web cam or phone appointments. Often people want to get help, but their busy lives don’t allow time to attend an office appointment; cutting out commuting time to and from an office can make therapy or life coaching something you can fit into your schedule. These are also good alternatives to ensure the privacy of individuals who do not want to attend therapy in the community where they live and work. Also, it is ideal if you see you are a good match with one of our therapists or life coaches, yet you do not live in our area. Lastly, for people with medical issue that make commuting difficult or impossible, distance therapy and life coaching make getting help possible. Life coaching differs from therapy. Many people want to make changes and improvements in their life, and benefit from the assistance of a motivator and guide and helper to reach their goal. But these people are often not experiencing any mental health problems. A life coach motivates the client, who is often in the midst of a life-changing decision, and helps the client discover his or her goals and make them a reality. A life coach helps a person of good mental health look to the future and move forward with his or her life. In life coaching, the client takes the action in determining where he or she is in life and where he or she would like to be. The coach assists in this process, making recommendations, but ultimately relying on the client to make the final play, much like an athletic coach. Life coaching allows an individual to work with a professional to explore ways to live more fully and on purpose. Life coaching sessions are often shorter than therapy sessions, and email exchanges may also be utilized. Click here for more in-depth information on life coaching. Communication and Conflict Management: An interactive and fun workshop based on the Meyer’s Brigg’s Type Inventory aimed at helping participants learn about themselves and how they relate to others. It is geared to facilitate discovery of innate preferences and communication patterns and how these patterns may impact personal and professional relationships. In particular, the workshop will help participants uncover the ways in which their natural personality preferences may lead to conflict when working with others, especially on teams. Having a better understanding of oneself often helps increase understanding and acceptance of the behavior of others, especially when working in groups or on a joint project. Numerous seminars on topics of personal and professional growth and life satisfaction, and common life stressors. If there is a topic you would like presented we can develop a seminar to meet your specific needs. We also provide informational talks on a variety of mental health issues, during, for example, an employees’ health day or similar event. Please visit our website for a list of our current offerings. When downsizing has to happen, it can at least be done compassionately. Offering employee assistance during this transition can help make the transition less stressful for everyone involved. The immediate concerns of many downsized employees are: how will I find another job in this economy; is my resume good enough with so many people looking for jobs; and will I ‘nail’ an interview and get an offer. We can provide individual or group sessions in all three areas. We can coach in resume writing and provide individual resume and cover letter reviews so employees can be confident sending them out. At the same time, we provide individual or group coaching in job searching in a tough economy – how to make oneself stand out and get noticed for one’s unique skills and abilities. Lastly in this series, we help employees learn and revive interview skills that are effective in resulting in a job offer. Some employees also see this as an opportunity, or a necessary time, to change career direction. Our experienced career counselors can help individuals take stock of their talents and abilities, brainstorm employment venues that could utilize such a skill set, research which fields are most likely to be hiring, and take a self-inventory to determine which path or paths would be the best fit for the individual regarding work satisfaction. We then help develop resumes and cover letters that are effective and do not look like ‘career change’ presentations. Again, this career redirection coaching can be done in an individual or group format. Employers may also want to consider allowing us to provide personal counseling to employees to help them vent their feelings, rebuild their self-esteem, and deal with stress. This could be done as one-on-one counseling or group counseling, the latter being the most cost-effective for companies downsizing more than just a few employees. PLEASE FEEL FREE TO CALL US FOR A COMPLIMETARY IN-PERSON OR TELEPHONE CONSULTATION WITH DR. LEPAGE REGARDING HOW WE CAN WORK FOR YOU.